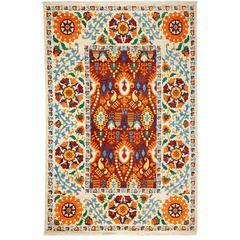 Inspired by embroidered Suzani textiles from Uzbekistan, this rug features floral motifs in modern palettes and compositions. 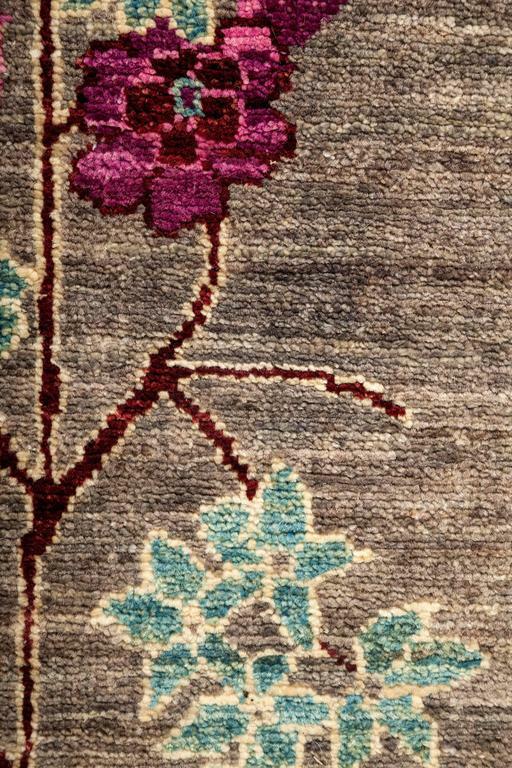 Hand-knotted of vegetable-dyed wool, the rugs are designed to retain their vibrancy for generations to come. Measures: 9'10" X 13'8". 21st century square Persian Sultanabad carpet, ivory with earth tone design, measure: 9.10 x 11.02. A contemporary Khotan-style rug from Pakistan with a grey field and ivory accents in a symmetrical geometric lattice design. This hand knotted wool rug measures 9'0" x 12'0". A contemporary Khotan-style rug from Pakistan with a grey field and ivory and sand-colored accents in a dual medallion design. 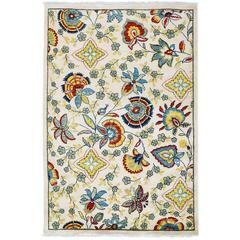 This hand knotted wool rug measures at 8'10" x 12'0". 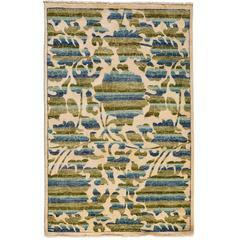 A contemporary Oushak-style rug from Pakistan with a blue field and ivory accents in a branching tree design. 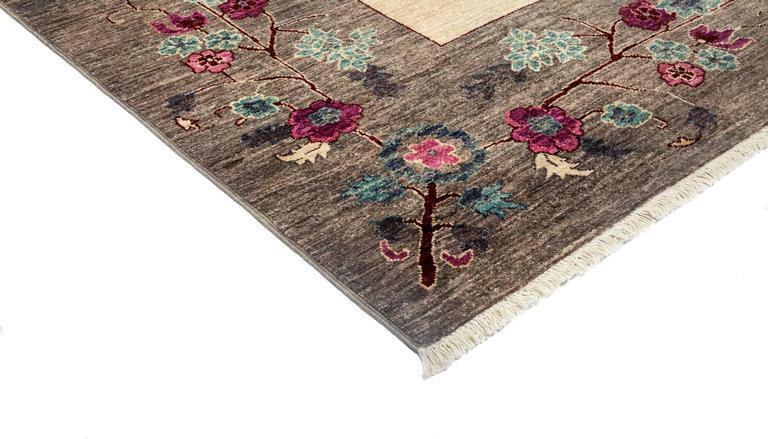 This hand knotted wool rug measures 8'7" x 12'0".